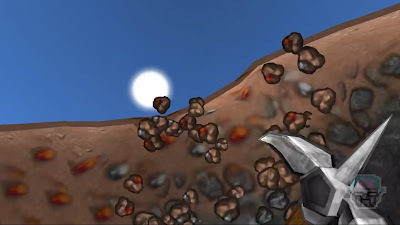 Lords of Uberdark is a 3D mining & building game currently in development. The game features smooth terrain, cartoon style rendering, nice texture blending, animated water, raytraced lighting, random terrain generation, ore veins etc. LoU successfully raised over $20K in Kickstarter campaign and unlike many other Minecraft inspired games, it received lots of positive response from community. Latest Alpha build (version 40) brings improved Linux support. However it is still experimental. If you want to try the game, pre-order it for $10 from here. You will get a download link in email. To play the game on Ubuntu, just download uberdark.ubu file from here, place it in game folder and run it (mark executable first). Remember, this is still alpha build and there is no confirmation that final version will support Linux. So better wait for beta and later versions for more clarity. Though with each new alpha release, Linux support is being improved by the developers.